Landowners have been asked by officials with the Kentucky Department of Fish and Wildlife Resources to help locate feral pigs in a specific county. The KDFWR is attempting to eradicate feral pigs in southeastern Henry County, which is located northeast of Louisville and northwest of Frankfort. Head east from the latter and you'll be in Lexington. These three areas are heavily populated, with Frankfort the home of the state capitol, so it's not like these invasive pigs are toodling around out in the country. However, it's rural enough that officials are using aerial gunning, trapping and hunting to help eliminate the pests. Landowners received a letter from the state wildlife agency asking for help. The department’s eradication efforts are coordinated with the U.S. Department of Agriculture’s (USDA) Wildlife Services. Funds were set aside in the 2018 Farm Bill to hire people and buy equipment solely for wild pig trapping. 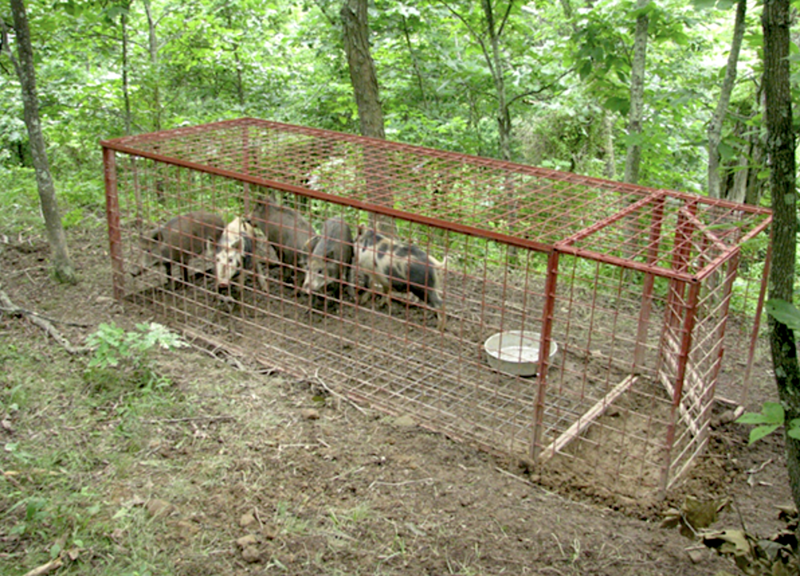 The trapping services offered by KDFWR are free, and landowners can keep the wild pigs trapped if they want to eat them.